The practice of reading books preferred by the old generation goes beyond time and modern technology! Updation is necessary for enjoyment. No amount of knowledge can give the pleasure of receiving our loved one’s message. 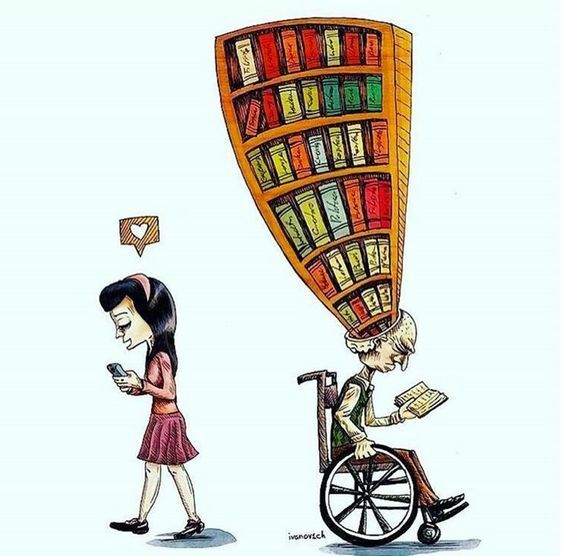 The new generation being hooked to modern gadgets can never appreciate reading a book! Knowledge from books can never be outdone by modern technology! iPhone killed the library stars of knowledge.